Official Xbox Magazine gave the game a 9.5. Game Informer gave Dead Space 2 a 9/10. Official Xbox Magazine UK gave the game 9 out of 10.IGN's Greg Miller gave the game a 9.0 out of 10. Dead Space 2 is an upcoming survival horror third-person shooter video game developed by Visceral Games and published by Electronic Arts for PlayStation 3, Xbox 360 and Microsoft Windows. It is the sequel to Dead Space. Unlike its predecessor, Dead Space 2 has a multiplayer mode. A Limited Edition will be available for all three platforms, the PlayStation 3 version will include Dead Space: Extraction as a PlayStation Move compatible title. 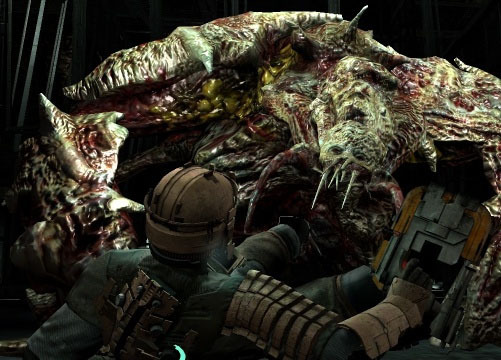 Dead Space 2 takes place in 2511, three years after the events of Dead Space and Dead Space: Aftermath, on the Sprawl, a densely populated metropolis built on a shard of Titan, a moon of Saturn.The mental illness caused by the Marker appears to be permanent and continues to have an effect on the protagonist Isaac Clarke. The game begins in a hospital aboard the Sprawl where players will witness the horror of the Necromorph infestation. A closed multiplayer beta began on September 23, 2010. It has a 4 vs 4 setup, where one team consists of humans, trying to finish an objective.The other team consists of Necromorphs,who try to stop the humans from accomplishing their goal. Each playable character has two weapons in their arsenal. New weapons and their secondary firing modes can be unlocked through level progression. Last edited by Mystery; 01-23-2011 at 05:03 PM.